HTC Desire II, Wildfire S coming to US Cellular? What's all this? 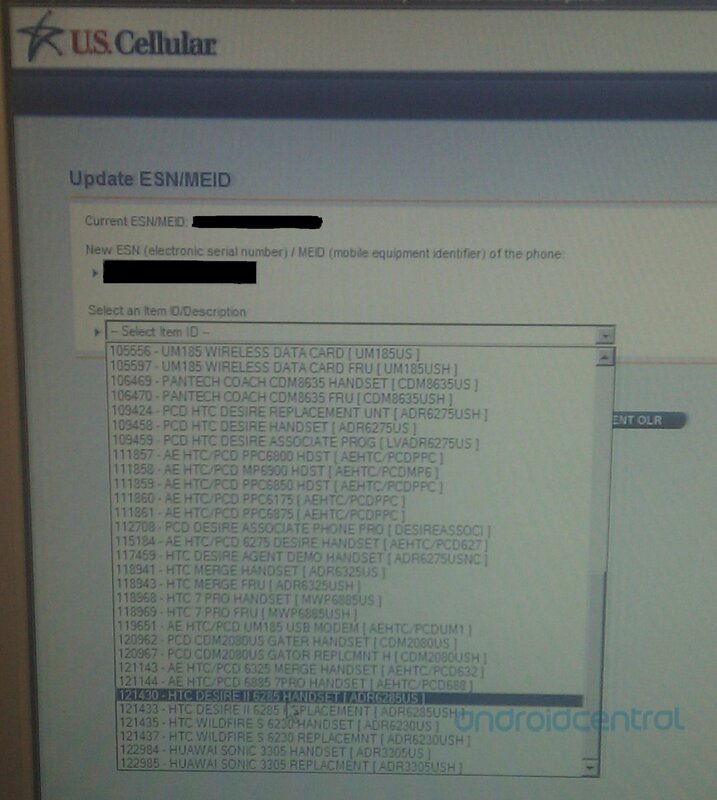 Looks like US Cellular is in line to get itself the HTC Desire II (aka the Desire S) and Wildfire S (aka, erm, the Wildfire S) sometime in the near future, as it's popped up in the regional carrier's inventory. The Desire II/S, of course, is the follow-up of last year's original Desire (see our review of the US Cellular version) that ups the specs a bit, as well as the version of HTC Sense. Same goes for the Wildfire S, which also gets improved specs and a slightly larger screen with the resolution upped to the barely tolerable 320x480. But far be it from us to look an Android gift horse in the mouth. Let's hope we see these guys sooner rather than later.